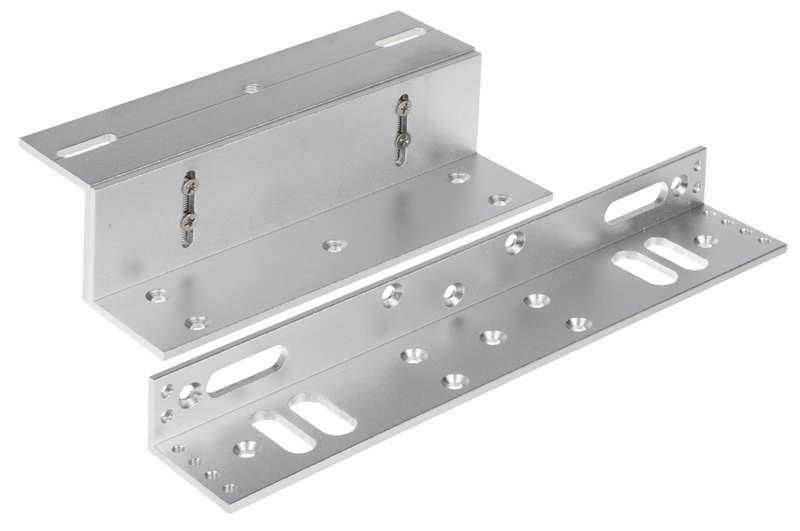 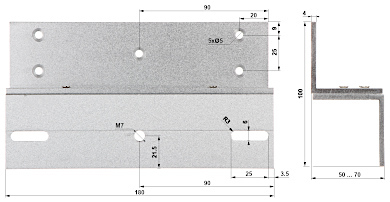 Z-bracket and L-bracket set for the ZE-280-5 electromagnetic lock with load capacity of 280 kg. 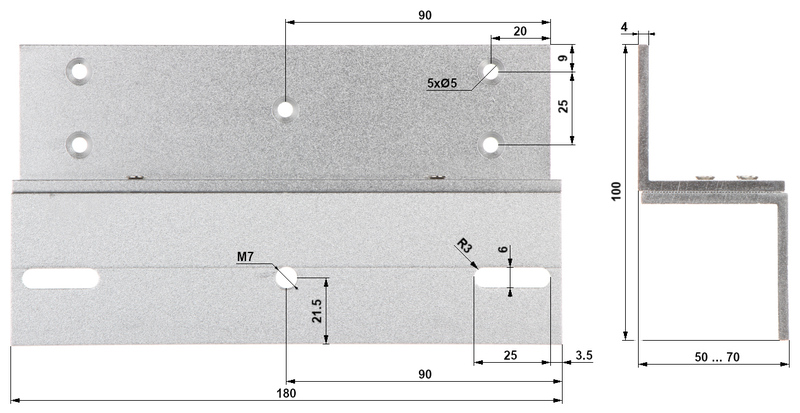 Should pay attention to rubber pads mounted between the door and the movable element of the lock. 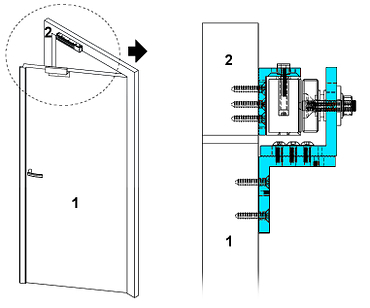 These pads ensure proper fit the lock elements with the door when it is closed.